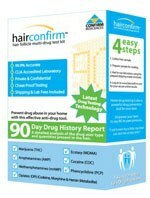 Test yourself at home to ensure that your body doesn’t contain any traces of MDMA, or Ecstasy. Ecstasy or Molly can show up in virtually any employer-required drug test, so it pays to know ahead of time if you’ve been exposed to any toxins that may show up during a routine drug screen. 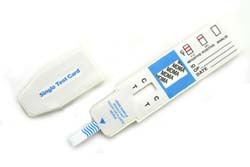 Our 99% accurate Ecstasy drug testing kits deliver results in just five minutes and are clear and simple to interpret. Simply dip in your urine sample and wait a few minutes - one line equals a positive result, two lines equates to a negative sample. Any Ecstasy concentration of more than 500 ng/ml will trigger a positive result. Order today and enjoy quick UPS shipping and a 100% money back guarantee. That, plus a volume discount price structure and only the highest quality in home testing kits, and you have a winning combination. Order today - and get the results you need in no time! Bring the pouch to room temperature before opening it. Remove the test panel from the sealed pouch and use it as soon as possible. Take off the cap outside of the test end. With arrows pointing toward the urine specimen, immerse the test panel vertically in the urine specimen for at least 10-15 seconds. Do not pass the arrows on the test panel when immersing the panel. Place the test panel on a non-absorbent flat surface, start the timer and wait for the colored line(s) to appear. The results should be read at five minutes. Do not interpret results after 10 minutes. NEGATIVE: Two lines appear. One colored line should be in the control region and another apparent colored or a faded color line adjacent should be in the test region. This negative result indicates that the drug concentration is below the detectable level. NOTE: The shade of the test line region will vary, but it should be considered negative whenever there is even a faint colored line. POSITIVE: One colored line appears in the control region. No line appears in the test region. This positive result indicates that the drug concentration is above the detectable level. INVALID: Control line fails to appear. Insufficient specimen volume or incorrect procedural techniques are the most likely reasons for control line failure. Review the procedure and repeat the test using a new test panel.